1854 John Sutton Nettlefold expanded his small London business in iron and screws to Smethwick where he set up a factory to make screws using advanced, new machinery licensed from America. He was able to expand his enterprise partly because of an investment by his brother-in-law, Joseph Chamberlain. The partnership Nettlefold and Chamberlain in Birmingham became one of the world's leading screw manufacturers. Both Nettlefold and Chamberlain put their sons into the business - Joseph Henry Nettlefold managed the business, with his brother Edward John Nettlefold, and his cousin Joseph Chamberlain. 1871 The Hadley Castle Iron Works was opened in Hadley, Shropshire, soon manufacturing wire and 400-500 tons of bar iron each week, an early example of Nettlefolds vertical integration of the business which was to continue for a long time. 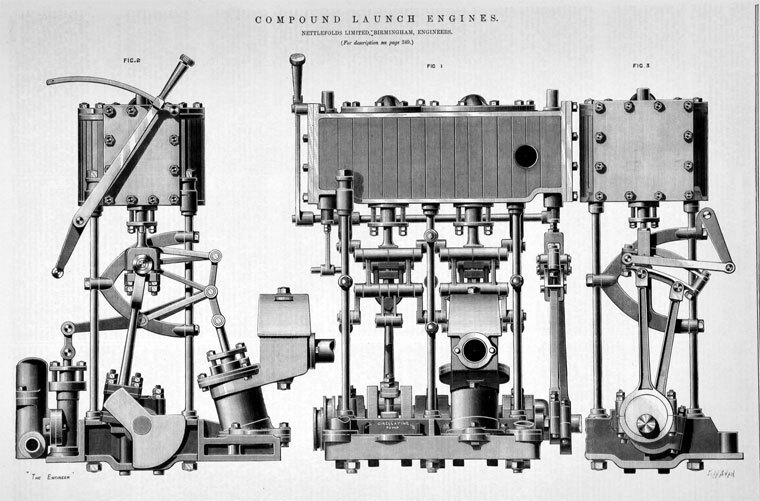 1880 Nettlefolds was launched as a limited company . 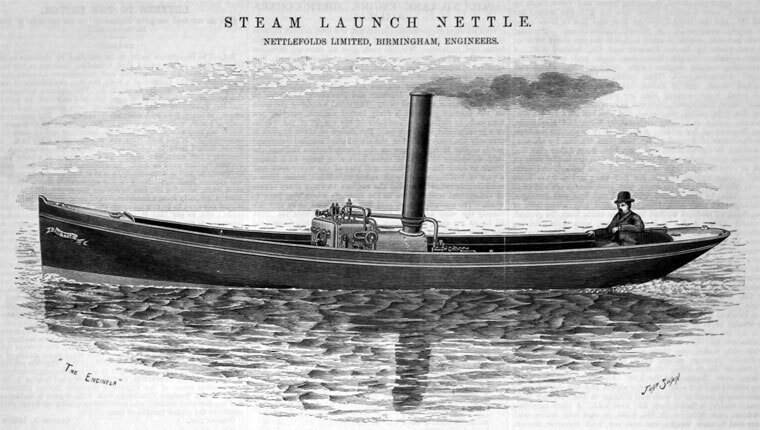 The Nettlefold brothers went on to reinforce their dominant position in the British wood-screw market by a series of astute mergers and acquisitions; Nettlefolds was to establish a virtual monopoly in the British market. 1881 Joseph Henry Nettlefold died. Frederick Nettlefold became chairman. 1886 Production was taken back to Smethwick from Shropshire. The neighbouring firm Birmingham Screw was acquired, giving room for further expansion. 1893 Frederick Nettlefold retired from the chairmanship of the company . The prosperity of Nettlefolds declined over the following decade. Edward Nettlefold (1855 - 1909), son of Edward, having joined the company after leaving Cambridge, became a managing director at some point in the later years of the company . 1902 Nettlefolds was acquired by Arthur Keen's Guest, Keen and Co to create Guest, Keen and Nettlefolds. For many years, this company has been better known as GKN. Edward Nettlefold continued as a director of Guest, Keen and Nettlefolds until his death in 1909 . 1905 The partnership between F. Nettlefold, A. Steer and O. Nettlefold "under the style of Nettlefold and Sons, High Holborn, W.C.", was dissolved. This presumably means that the shop in London was kept out of the Limited company when it was formed and hence was not taken over by Guest, Keen and Co.
2008 The company still had operations at the Hadley Castle Works. This page was last edited on 29 June 2017, at 14:22.